Let's face it: This is the "You're So Vain" of television, the mystery that won't end and something we'll be looking for clues about forever. 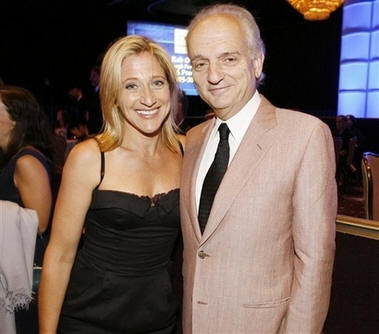 Our friend Alan Sepinwall went to the Television Critics Association Awards where it was rumored that David Chase would actually sweep in, sweep out, accept his awards and then go home. From Sepinwall's report, that's exactly what happened, getting flown in just before he reached the stage. This guy's now getting presidential treatment. "Somebody said it would be a good idea if we said something about the ending. I really wasn't going to go into it. But I'll just say this: When I was going to Stanford University graduate film school, 23 years old, I went and saw 'Planet of the Apes' with my wife. When the movie was over I said, 'Wow, so they had a Statue of Liberty, too.' So that's what you're up against." It really doesn't shed any new light on the ending now, does it? Did Tony say "Damn you all to hell!" in a deleted scene? Chase will have at least one more public appearance where he'll probably dance around this issue again. The Sopranos is up for 15 Emmys, including Best Drama, and Chase himself is up for Best Writing for TWO episodes. I firmly believe that now, after his infamous, "It's all in there" quote, he's going to have fun toying around with people's minds for the rest of his life.